So Google is now displaying a little drop down screen shot of the Wikipedia page associated with a website. The information is Universal and site wide, so this tab is included on deeper pages. 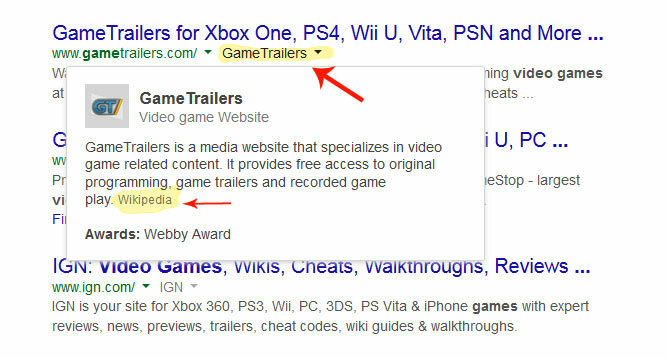 I find this very telling of how heavily google is now leaning towards entities in the search results.